Enter your email address below to receive a notification when WILDWOMAN starts accepting new sign-ups! Enter your email address below to receive a notification when WILDWOMAN is accepting new sign-ups again. Your first box will ship on or around the 15th of the month. Please order by the 21st of the month to get the current box. For existing subscribers, we ship on the 15th of every month. 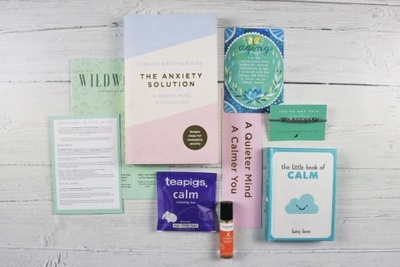 WILDWOMAN is a monthly self care and book subscription box for women who want to reclaim their mind, body and soul connection. 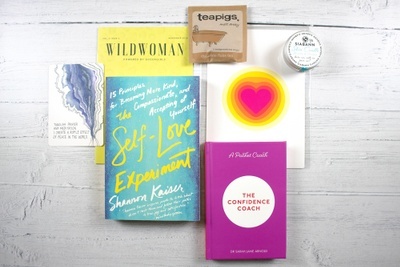 Each eco-friendly package includes a self-development book, plus accompanying goodies, ideal for journaling and enjoying a few hours of dedicated me-time. I loved my first box. 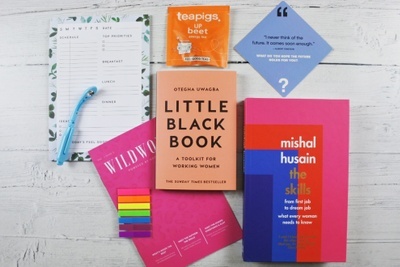 I’m really looking forward to my next box. All the items were quality items and I am happy with the price I paid. You get what you pay for. 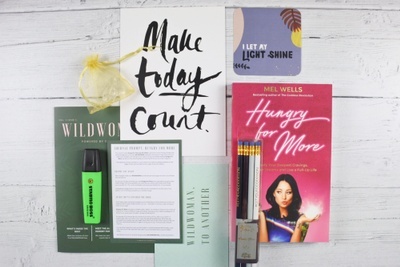 Just got my WILDWOMAN VIP box a couple of days ago and I am blown away! 2 books some cool swag and so much more! I am really sad that due to work hours I probably will not be able to make it for the meet-up's but the exclusive Facebook group is really cool for engagement too! I am super satisfied and am keeping my subscription for sure.